To ensure the security at polling stations, the IECB staff at Holy Trinity worked extra hard this morning to organize the larger number of voters into their respective streams in order to ease the voting process. At Mashimoni primary polling station, the voting exercise started well, long queues observed starting 5.00am but voting started 6.05am. But not everything worked in the right way. The traffic at Olympic this morning was enormous: twelve long lines all of which have stretched outside the gate with thousands of voters already queuing to vote. “We have to vote by all means, this will ensure that we get in the credible leaders we have always wanted to elect”, a voter said. The was caused by BVR machine that stopped working at Olympic station leading to slow pace of voting hence complains from the public who are all in eight streams waiting to vote. In YMCA polling station four people have not got their names in the voters register and the BVR kit system was not working as it was supposed to be. At Dc grounds polling station, voters are being pulled out of the line simply because their names were not in the registers but available in the IEBC system. At Olympic Secondary School, there was a huge number of voters and among the crowd one of the voters threw his documents and went away simply because he couldn’t find his name in one of the lines he had been since morning. I am a motivated community leader living and working in the Kibera slum. The power of information exchange can change Kibera and bring about unity of purpose. 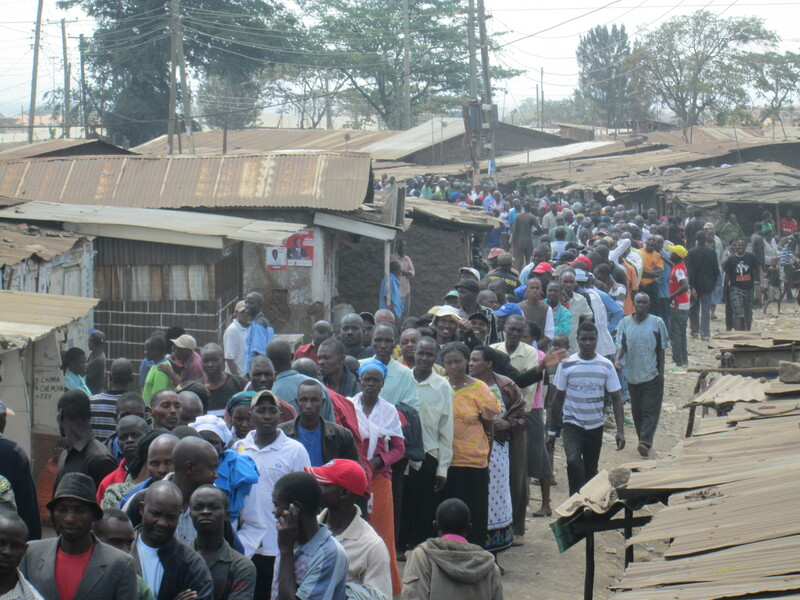 This entry was posted in Elections and tagged election, IEBC, Kibera, polling stations, vote. Bookmark the permalink.